Yes, yes, yes, I saw The Hobbit – Unexpected Journey! In one sentence, it was a visual roller coaster! It was GREAT! I loved it!! I am an avid fan of J. R. R. Tolkien and the last film adaptations by Peter Jackson, The Lord of the Rings trilogy, I can’t tell you how many times I watched. So as soon as The Hobbit was premiered, I had to book the tickets ASAP. Clutching my credit card, I got on with the Barbican Cinema’s web site. Then in 5 minutes, voilà, I secured two seats for Hubbie and me. Yipee!! The screening was from 7:34pm. And the film was gonna be more than 2 hours long. Therefore, lying my stomach amply was a must. 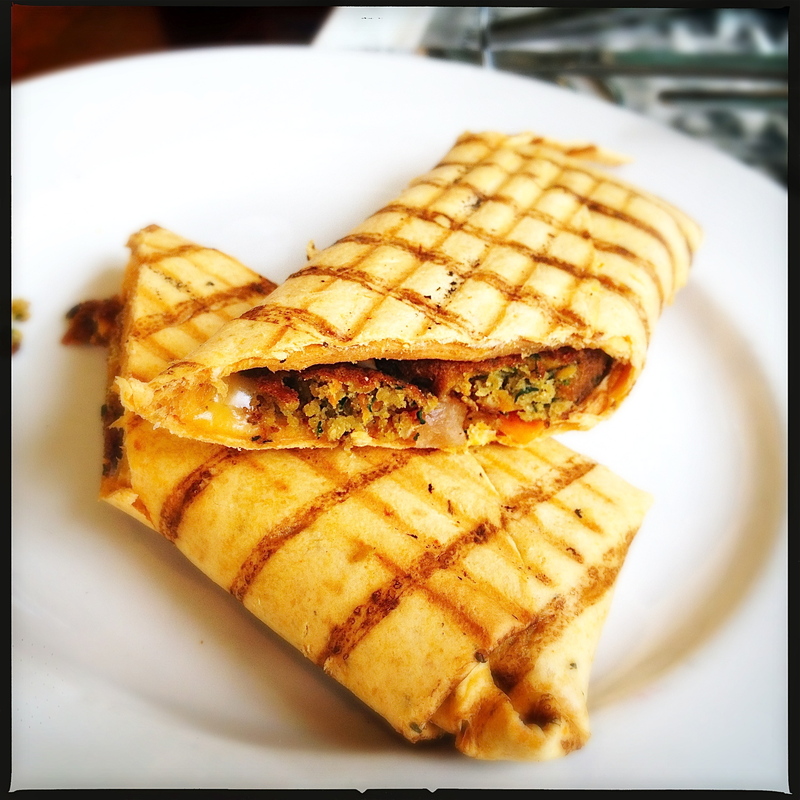 I wandered around the Barbican’s Food Hall with a tray in my hands, looking for the dish which would fill me up nicely. 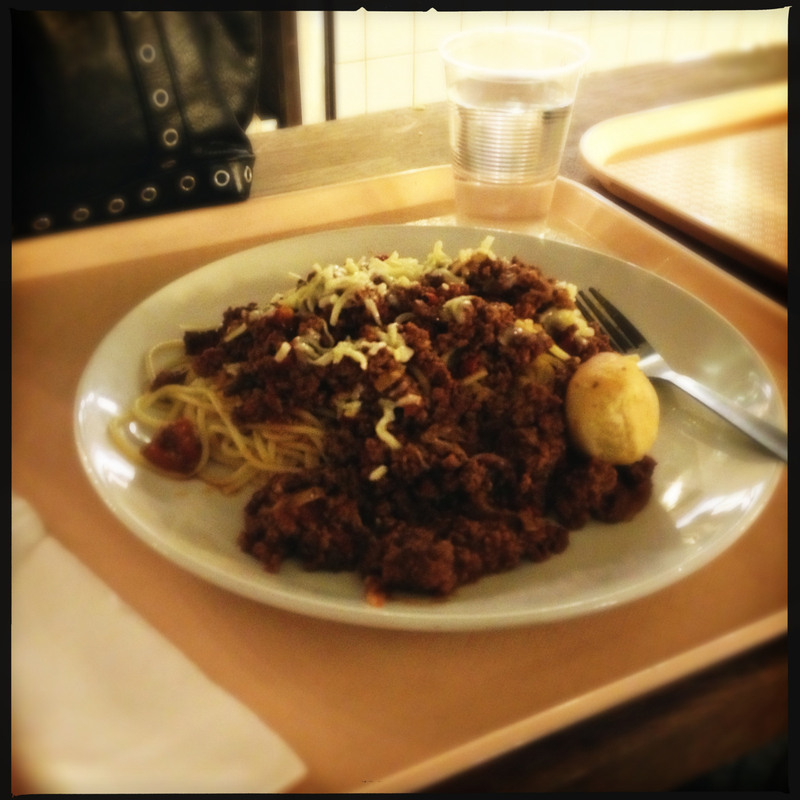 Mmmmmmm… I haven’t had spaghetti Bolognese for a god knows how long. The amount of grated cheese was a tad on the mean side. Still, I enjoyed my childhood favourite very much. 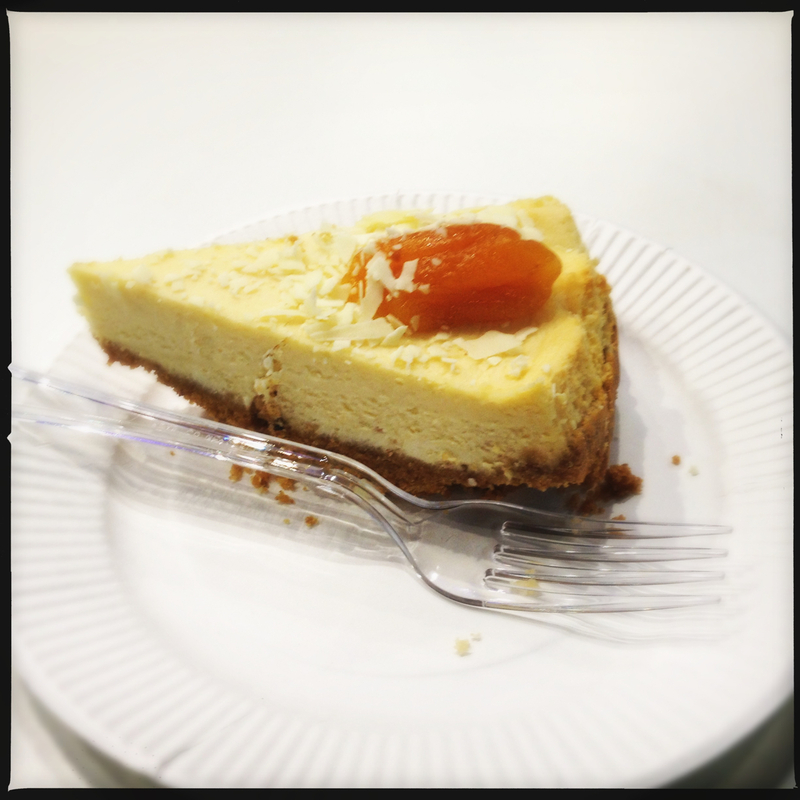 For a dessert, we shared a slice of apricot cheese cake. The film was immensely enjoyable, I must say. The CG were mesmerizing. My shaggy Mongolian lamb coat does look like the one donned by Thorin, doesn’t it? I was wearing it on a very icy night. But for the actor who played Thorin, it must have been boiling for him! Can’t imagine how it is like having to run a long distance wearing this toastie. Oh by the way, I was at DiGuardo’s Christmas party last week.